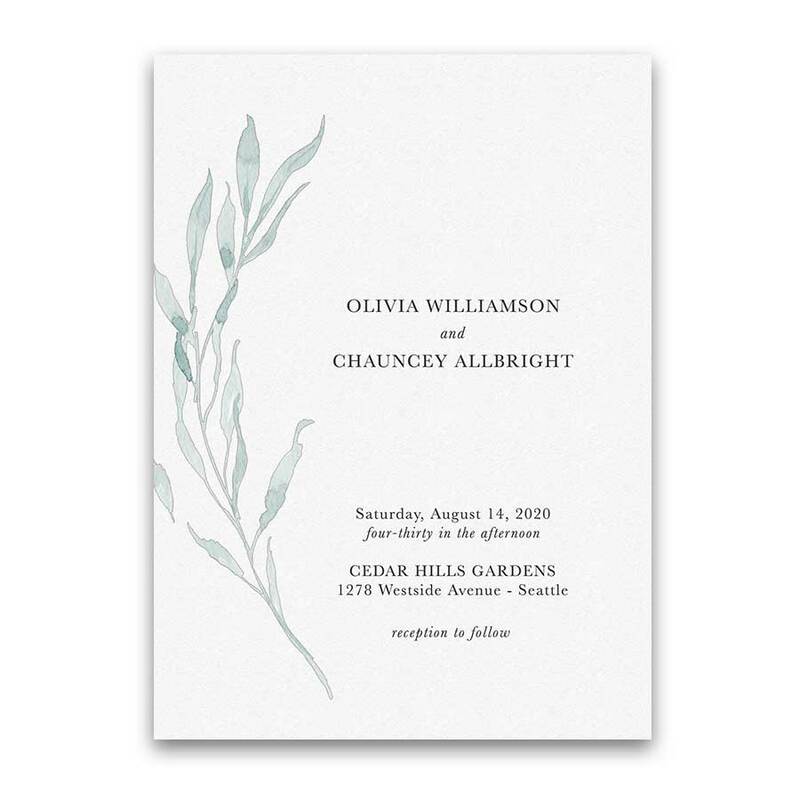 A beautiful bohemian style watercolor save the date card featuring pale blue greenery on a textured white background. A gorgeous and elegant save the date card which will set the stage for your lovely nuptials. 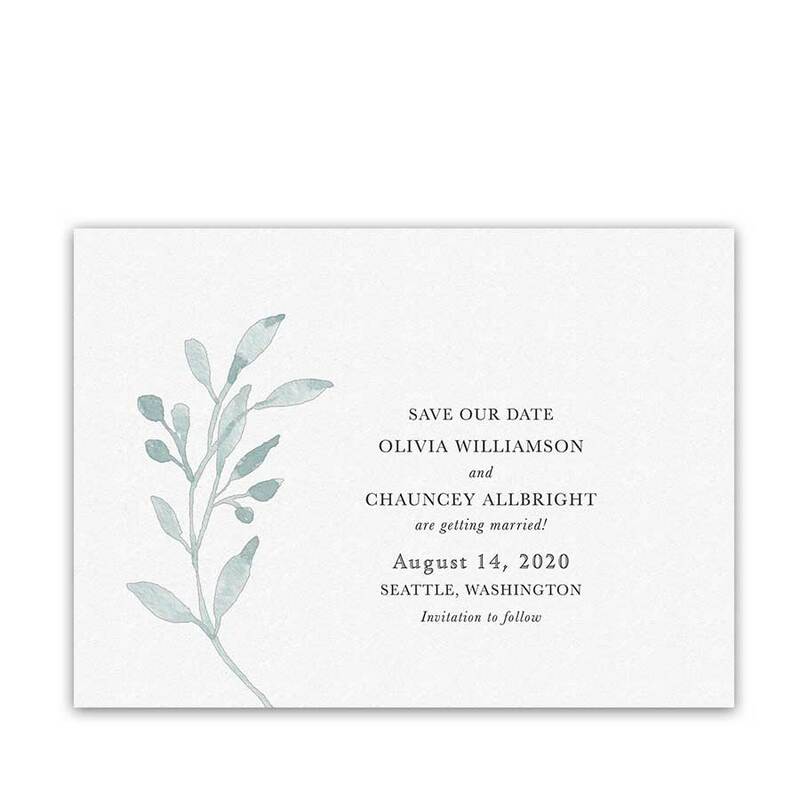 Greenery Wedding Save the Date Dusty Blue Watercolor. 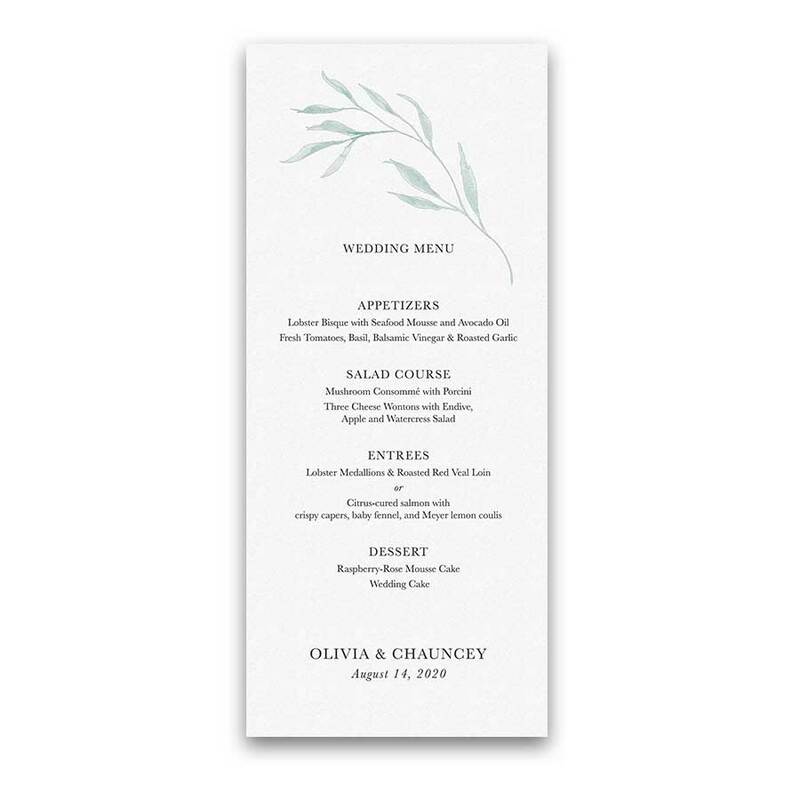 A beautiful greenery inspired wedding invitation featuring modern fonts paired with a single hand painted watercolor sprig of pale blue greenery. A gorgeous and elegant wedding invitation which will set the stage for your wedding day nuptials. Welcome to the Salish Opera Collection. 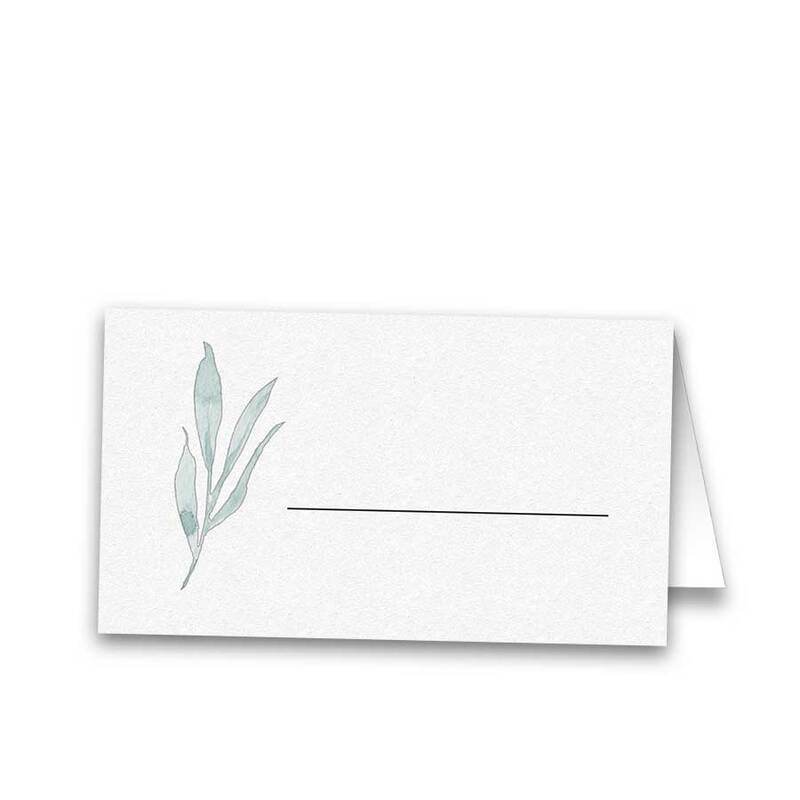 Save the date card for your greenery themed wedding with this absolutely stunning pale blue save the date card. 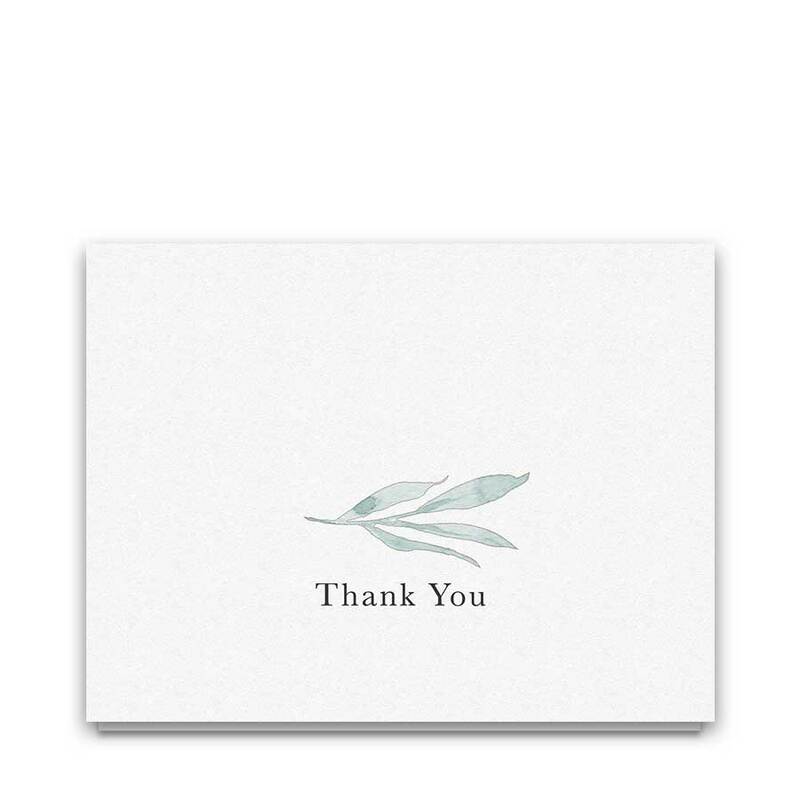 Featuring a white background and delicate greenery sprigs, it is simply classic and lovely. 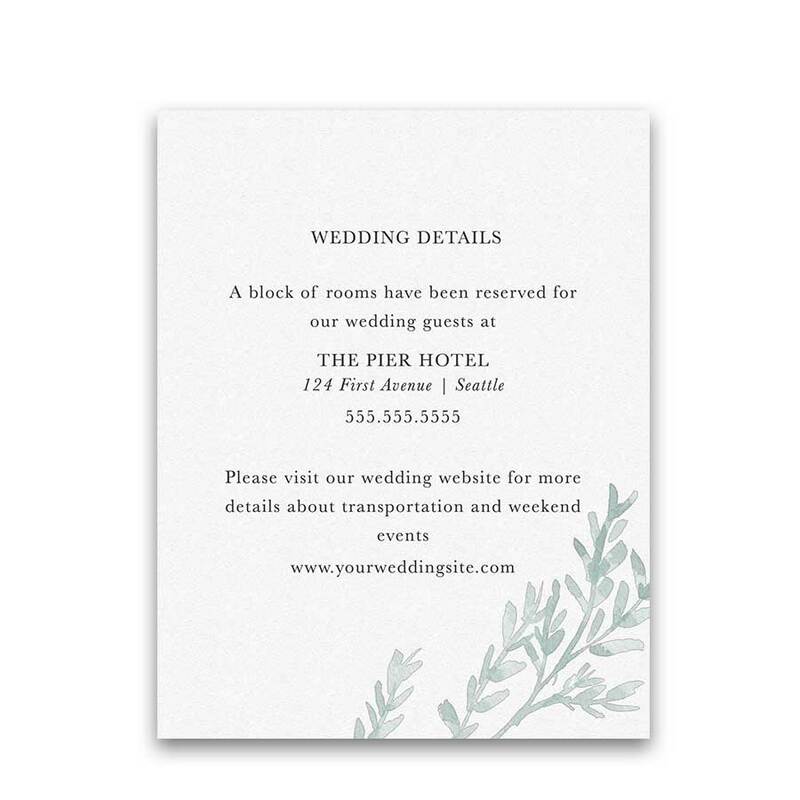 Likewise, an entire wedding suite with coordinating watercolor greenery designs is available in the store. Especially relevant for: elegant weddings, greenery weddings, modern weddings, and beach themed weddings- not to mention vintage weddings alike in summer, spring and winter. 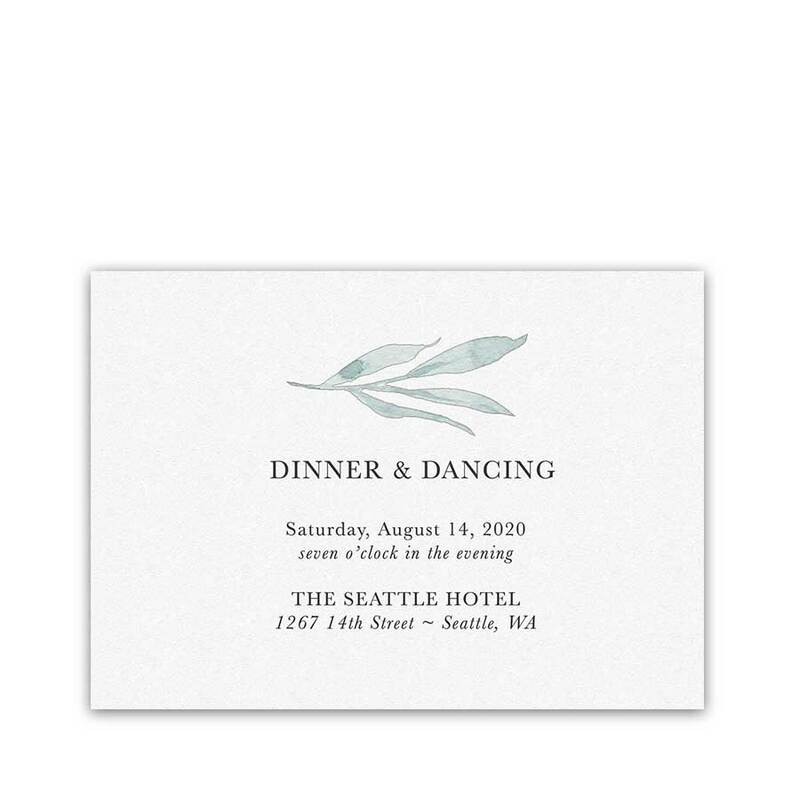 We also offer more modern wedding save the date cards in the store. 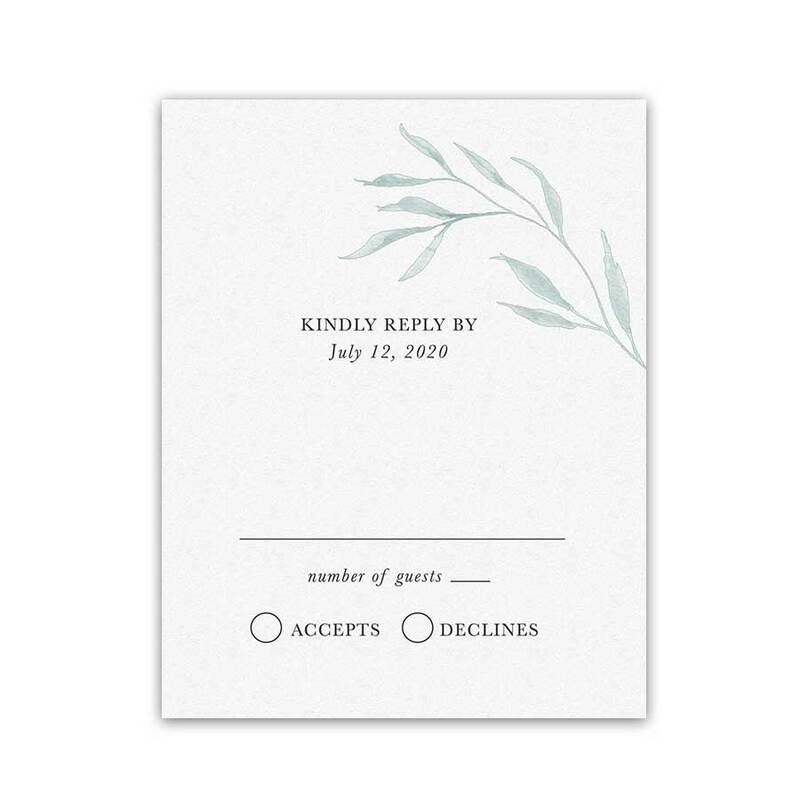 The Greenery Wedding Save the Date Dusty Blue Watercolor measure 7 inches wide by 5 inches long.